Create a unique wooden photo ornament to display your treasured moments. 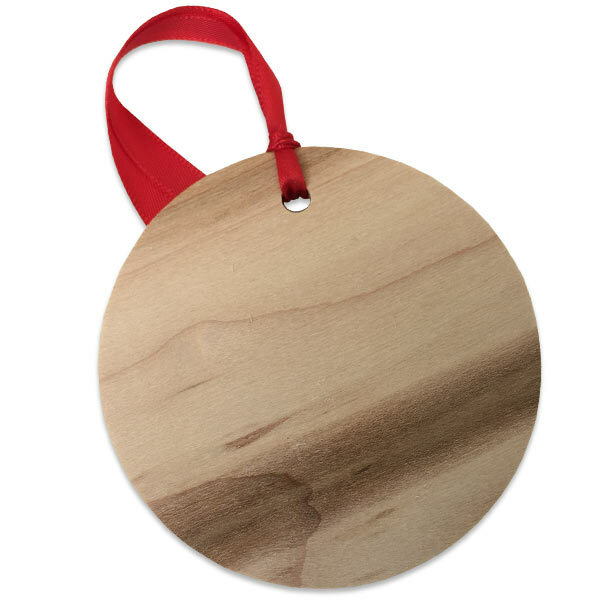 Since each ornament is made from real maple wood, it will add a unique personalized touch to your holiday display. First of all, select photos for your ornament layout. Then choose a template. We have single photo and collage layouts to pick from. Then, decide where your photos will be displayed and add text to include dates and captions to describe your photos. As a result, you’ll have a heartwarming wood ornament with a cozy, country look. Get creative with your photos, and make this season warm and bright with our custom wood ornaments! Pull out the hiking trip pictures or those family camping memories. Our wooden photo ornaments are ideal for a variety of outdoor photos. Moreover, give them as a special gift or stocking stuffer for family and friends. Finally, add your own handwritten message, name or date to the back surface for a meaningful gift everyone will love. Or, upload a series of photos from your phone, create multiple round wooden ornaments, and turn your tree into a gallery of your most cherished memories! 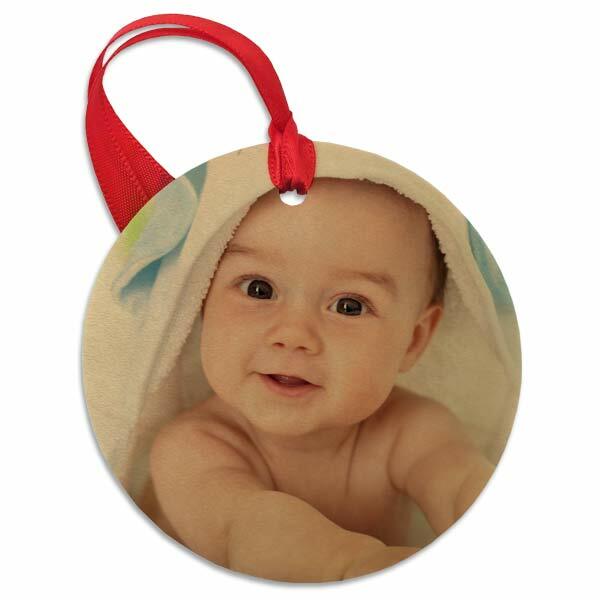 Make your holiday season bright, and create your own custom photo Christmas ornament today!